Nobody will deny that the Apple iPod is single-handedly responsible for a massive shift in the portability of music. Sure, the Walkman and Discman were important components in the history of portable media players, but those technologies supported existing music formats in the form of cassettes and compact discs. 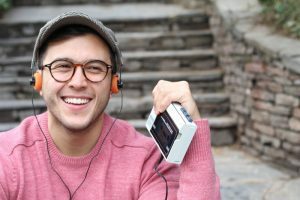 The iPod embraced digital media file formats, and though Apple offers its own compression formats in the form of AAC and ALAC, the iPod made MP3 files and digital audio downloads immensely popular. In the ’80s and ’90s, going to the record store was a thing. Music enthusiasts knew when new albums would be released and would plan their schedules around making time to be at the store early on those mornings so they’d be the first to get a copy. 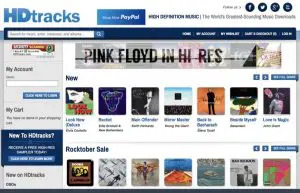 Fast forward to the 2000s, and access to new music is as simple as a click of your computer mouse or a tap on your phone and a short wait while the album downloads to your desktop or your smartphone. This convenience eventually affected the record store business model, and we’ve since seen Tower Records, Camelot Music, Tape World, Sam Goody and Canada’s Sam the Record Man fade away. The real benefit of the iPod and subsequently the iPhone was their ability to store a large amount of music in a convenient and easily accessible package. This convenience spelled the demise of the CD changer and the advance of support for direct compatibility with Apple devices. Companies like Clarion launched graphical interfaces around 2005 that provided an iPod-like experience in the screen of their multimedia receivers. Now, almost every source unit on the market offers Made for iPod/iPhone/iPad connectivity. What is the MFi Program? 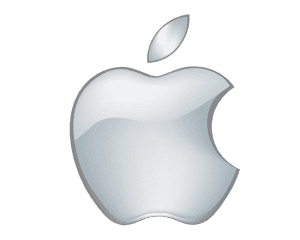 Apple’s MFi (Made for iPod/iPhone/iPad) program is a licensing program for companies that develop hardware or software that is designed to communicate digitally with these portable media devices. The original program, called Made for iPod, was launched in 2005 at the Macworld Expo and has evolved to include AirTunes wireless streaming, wireless game controllers and, most recently, devices intended for use with the HomeKit system that mimics Google Home and Alexa functionality. 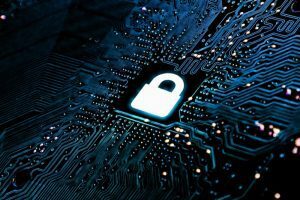 As a manufacturer, companies developing products under the MFi agreement are provided with technical resources such as connector information, component specifications and software protocols required to make their devices work. 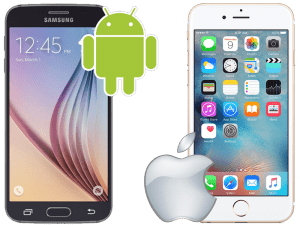 The caveat is that any device that will use Apple certified compatibility icons must pass a stringent product certification process. Several members of the Best Car Audio team have intimate experience with this certification process, and we can tell you that obtaining certification is often a difficult challenge. If you follow the industry carefully, you’ll be able to think of many products that were delivered to the market late because of changes required by Apple. How Does MFi Benefit Consumers? The goal of the MFi program is to ensure that consumers are provided with a predictable experience. Functions may not always work the way you want, but they will work the same on every product that has been through the MFi certification program. 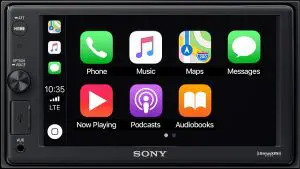 Though iPod and iPhone connectivity is a relatively simple process, the recent popularity of CarPlay is where the standards really tax the resources of those who are developing products. Apple tests screen geometry, icon colors and the position of volume function overlays. It has stringent hardware requirements that include strict USB connectivity testing and requirements for an onboard gyro. When you go shopping for a CarPlay device for your vehicle, you’ll want to look for products that are MFi certified. 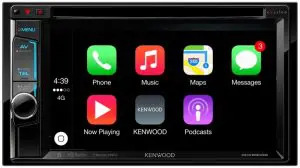 Currently, they are available from Alpine, Clarion, JVC, Kenwood, Pioneer and Sony, according to Apple’s CarPlay website. What About Devices That Aren’t MFi Certified? In researching this article, we talked to several companies that develop products under the MFi program. One of them mentioned that they had seen a list of blacklisted device keys in a preview of iOS 12.1 for the iPhone Xs. What does this mean? Any device that connects to an iPod, iPhone or iPad through the Lightning connector must include a small microcontroller that includes a software key. Think of this key like a digital serial number. These microcontrollers are found on all Lightning cables as well as headphone and video adapters. When Apple launched iOS 7 in September 2013, many unlicensed Lightning cables stopped working and users got a message stating that “this cable or accessory is not certified and may not work reliably with this iPhone.” Though there seemed to be some workarounds to get those cables to charge your phone, it was a brief look at what Apple can do regarding protecting its intellectual property. 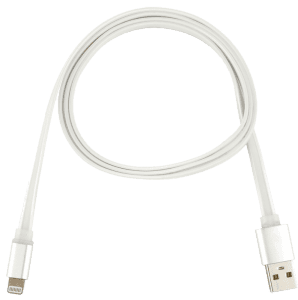 Recently, we’ve seen an influx of inexpensive Lightning cables and charging adapters available for sale at the checkout counter of local gas stations, variety stores and hardware stores. While the price and convenience of these cables are alluring, we want to caution our readers about using devices that aren’t specifically approved by Apple. If you have a vehicle with a color touchscreen, who wouldn’t want to be able to add the convenience and safety of CarPlay to the vehicle? 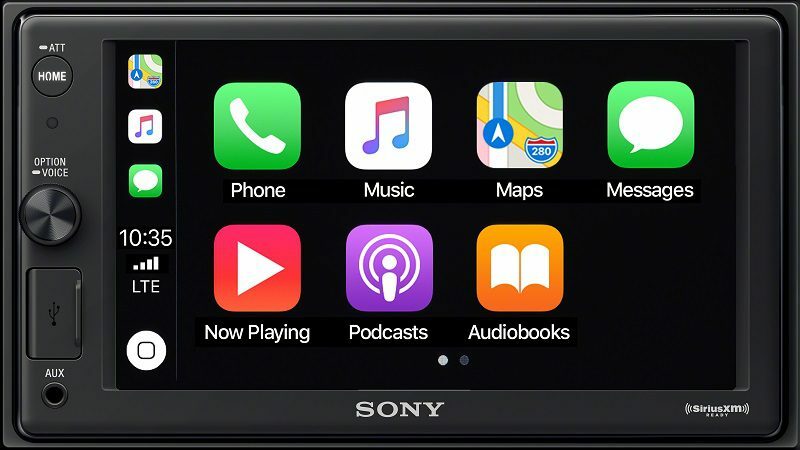 Several companies like BMW and Hyundai have made upgrades available for purchase to add this functionality to platforms that did not come with CarPlay from the factory. Several third-party options claim to add CarPlay to almost any vehicle with a USB port. We can’t speak directly as to whether these products are MFi certified, but you will want to make sure they are before you invest in them. Because we know that Apple tracks device keys, any unauthorized products could be rendered non-functional with a simple update from Apple. The next time you are shopping for a new Lightning cable or an accessory for your iPhone, iPod or iPad, make sure you look for the MFi certification logo on the packaging. This logo will ensure that the new device will continue to function reliably with each new iOS update from Apple. For more information, visit your local mobile electronics retailer and ask about the products they offer that are MFi certified. Let’s face it, most of us aren’t really happy with the stereo system that comes in our car. Sure, if you bought a Lexus with a top-of-the-line Mark Levinson system, you’re more than likely content. For the rest of us, the good news is that for a very reasonable investment, you can upgrade the performance of your sound system quickly and easily. In this article, we’ll look at 10 upgrades that will result in better car audio and a dramatic improvement to the enjoyability of your sound system. Even the most exotic of factory-installed sound systems cannot produce amazing bass. For most of us, the speakers in the doors don’t play much below about 50Hz. This means we are missing out on more than an octave of the most fun part of our music. 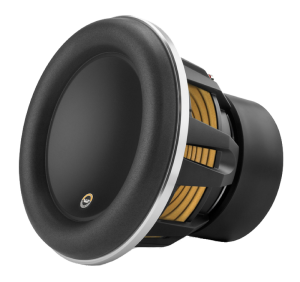 Adding a subwoofer does more than just improve the bass in your car, it eliminates the need for your smaller speakers to try to produce bass. The result is that they will sound better, play louder and likely last a lot longer. 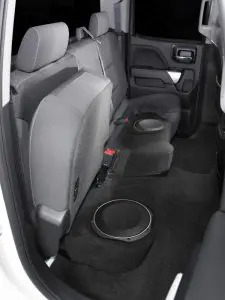 Subwoofer upgrades range from pre-fab enclosures that will sit in your trunk or cargo area to custom-built systems that are optimized for the space in your vehicle and the subwoofers you choose. Beyond not having enough bass in a factory audio system, the next most common complaint is that the system won’t play loudly enough. While the speakers in your car are limited in their capabilities, the most common issue is a lack of power from the radio or amplifier. Your local mobile electronics specialist can add an amplifier to your system that will let you crank up your tunes without the system distorting. Compact amplifiers that will produce a good, clean 50 watts per channel are a great starting point. You can easily find an amp that produces 75 to 100 watts per channel if you really want to blast your tunes. 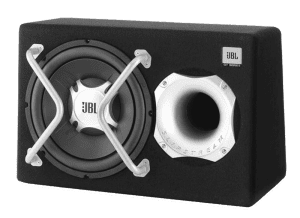 If you have read any number of our articles here at BestCarAudio.com, then you will undoubtedly know the importance of using high-quality speakers in your vehicle, or in any sound system. Speakers are the only link between the electronics in your audio system and your ears. Even the highest-resolution FLAC or DSD files and the best amplifiers known to man will sound mediocre if you don’t use high quality, low-distortion speakers. 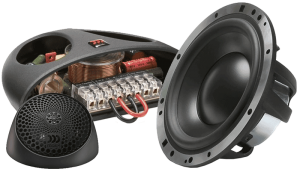 While you are having those speakers upgraded, make sure they are being installed properly. The shop should be using plastic speaker-mounting adapters where required. Everything should be solid and secure to allow the speakers to do their job without causing buzzes or rattles. For too long, adding a signal processor has been considered the icing on the cake when it comes to premium audio system design. The reality is, as soon as your budget allows for it, adding a processor can dramatically improve the performance of even a modest installation. 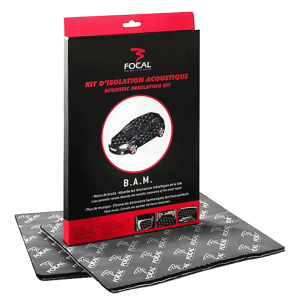 In the hands of the properly trained technician, the signal delay and equalization capabilities of a good processor can smooth the frequency response of the speakers in your car, truck or SUV to make your music sound lifelike. 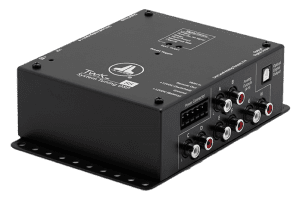 Adjustments to output levels and signal delay can create a realistic listening experience that sounds as though you were front row at your favorite concert or sitting in a living room, listening to an exotic sound system. 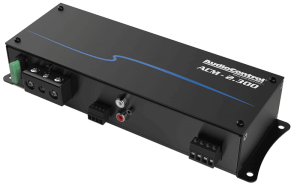 Processors are available as stand-alone solutions that can be inserted into your audio system between the head unit and the amplifier. 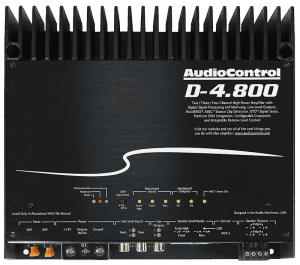 If you are building a system from scratch, many companies offer high-quality amplifiers with integrated digital signal processors. If you have ever upgraded a sound system by switching from an inexpensive amp to a great one, you may have noticed there is less background noise or hiss. When listening to music in our vehicles, we need to try and ignore wind and road noise and sound from the engine and exhaust system. Having your local car audio specialist retailer add a layer of sound deadening to your doors, the firewall, the floor or the roof will dramatically reduce the noise in your vehicle. If the doors are sealed properly with deadening, the performance of the speakers in them will also improve significantly. When shopping for sound deadening, the number one priority is to pick a product that will remain adhered to the vehicle. We’ve seen many damping products that turn gooey and melt when hot. Ask to see a sample of the damping material and heat it up with a lighter to see if it melts before you let someone cover the inside of your car with it. No, we aren’t dissing your gangster rap or John Fogerty CDs. 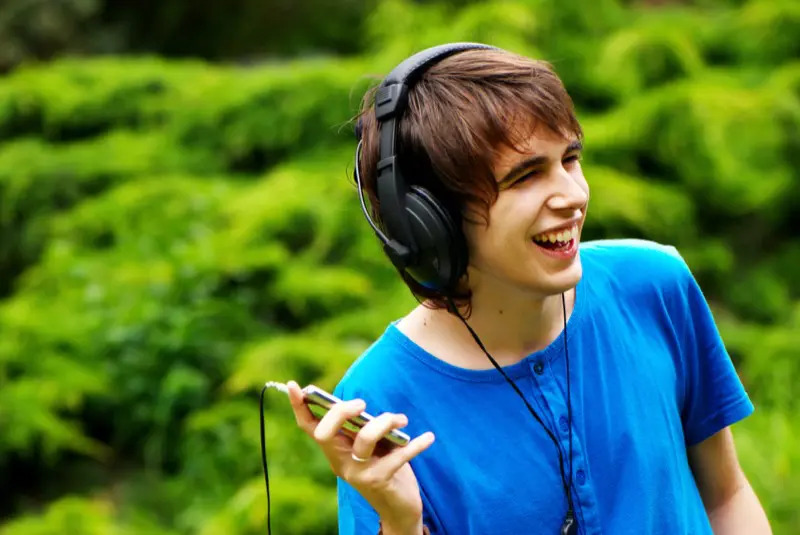 There has been a trend of late to focus on high-resolution audio files like FLAC and DSD. 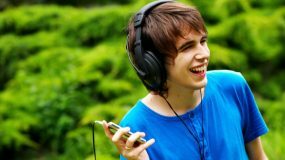 While the mechanical limits of these file formats dramatically exceed the listening limits of all humans, the improvement in recording and mastering equipment required to create these recordings is of excellent quality. In short, even within the standard 20Hz to the 20kHz range, high-res audio files sound better because they are created better. You can find high-res audio files at websites like Tidal, HDtracks, iTrax and 7Digital. If you want your amplifier to produce power, it needs to be fed power. After all, that energy needs to come from somewhere, right? 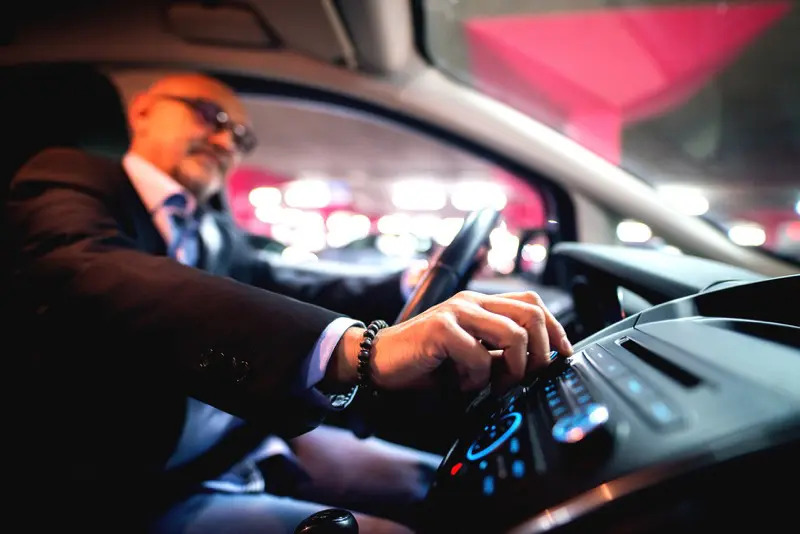 The electrical systems in modern cars and trucks are designed to only “just” supply the vehicle with the power it needs to operate the engine, lights, climate control system and the radio that came with the car. If you add a 1,000-watt amplifier, you will tax the electrical system. The easiest upgrade is a high-quality battery. Look for an absorbed glass mat (AGM) battery from a reputable brand. These batteries are more rugged than conventional flooded lead-acid cells and can produce a little extra voltage. Always choose the largest battery possible for your application. More capacity will provide increased play time when the vehicle is turned off and more current to your amplifier when the volume is cranked. If you are considering adding anything more than a few thousand watts of power to your sound system, then investigate upgrading the alternator in the vehicle. An automotive electrical system runs off the alternator when the vehicle is on. Most are rated for anything from 65 to 180 amps. Remember, though: Your vehicle wants to use some of that power for itself. If the vehicle is using 80 amps, and you need another 150 amps for your stereo, well, you need an upgraded alternator. Lots of us like to install car audio equipment at home in our driveway. Do-it-yourself car audio has been popular since the 1970s and always will be. The problem is, it takes more than a solid understanding of electrical theory and physics to install and configure a modern audio system. Qualified installers use tools like real-time analyzers to set crossovers and adjust polarity. They use oscilloscopes to match the amplifier sensitivity settings to the source unit. Investing in this gear is often out of reach for most do-it-yourselfers and often overlooked. If every aspect of your audio system isn’t optimized, you are short-changing yourself on performance. Your local car audio specialist retailer can help you get your system set up and optimized. Drop by and talk to them. In most cases, it will only take an hour or two – a small investment to improve the sound of your audio system. It’s no accident that our suggestion to upgrade the radio in your car is almost last on our list. These days, changing the radio in the dash of our vehicles is often impossible. Climate controls, vehicle information displays and configuration options and complex ergonomic creations make installing a new double-DIN radio impossible. If you can replace your radio, not only will you find you get an improvement in sound (if you pick a high-quality source), but you’ll also get a lot more features. 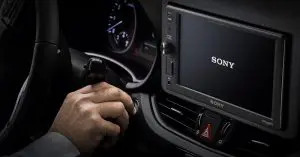 One of the most popular reasons to upgrade your radio is to add smartphone connectivity solutions like Android Auto and Apple CarPlay. Drop by the local stereo shop and see what’s available for your vehicle. How’s that for a confusing idea? What we are talking about is replacing your existing audio equipment with even better products. 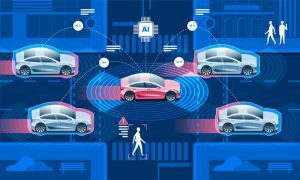 Let’s say you had a set of $250 components installed in the doors of your car a few years ago, and the system is tuned to optimize those speakers with a digital signal processor. If you upgrade those to a set of $1,600 components and have the system retuned, the difference will be night and day. Your music will be clearer and more detailed. You’ll be able to pick out subtleties that were otherwise lost. Think of upgrading to amazing speakers like cleaning your glasses: Everything will suddenly become crystal clear. The same applies to upgrading your subwoofers. There is a lot of information in the bottom few octaves of your music. A better sub will recreate your bass with dramatically improved realism. No matter what upgrade path you choose for your audio system, be sure to hire a reputable and qualified professional to do the work. Picking the right installer is like choosing an artist to do a tattoo or paint a portrait. You don’t want the cheapest; you want the person or team that will do the best work so you can be happy with the results. In the ’80s, ’90s and early part of the 2000s, upgrading the car stereo system in your vehicle was a relatively simple process. You’d start by picking out a new radio that offered the features you wanted and add a set of speakers to improve the sound of the system. Pretty much anyone with a basic understanding of electrical systems could use a wire harness adapter to install the radio, and the speaker installation was usually a drop-in upgrade, save for having to crimp on some spade connectors. Fast-forward to 2010 and beyond, and the world of car audio has changed dramatically. 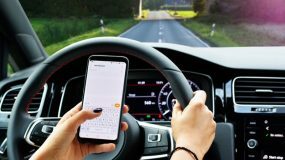 Even the most basic of new cars and trucks include Bluetooth hands-free calling and audio streaming technologies, and most will play your MP3 digital audio files from a USB stick. 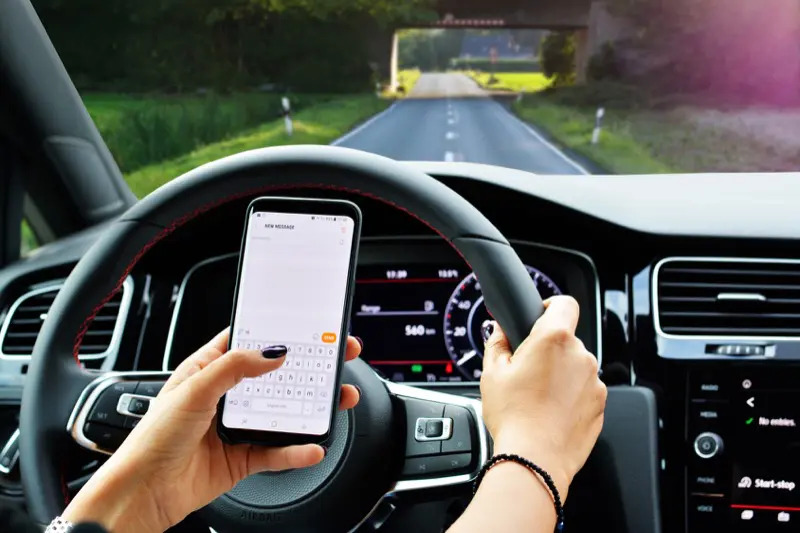 For many people, the only reason to want to upgrade their vehicle is to add a smartphone integration technology like Android Auto or Apple CarPlay. When it comes to the sound of modern stereo systems, there is still room for improvement. Basic audio systems can still benefit from upgraded speakers, and most vehicles could use a high-quality subwoofer upgrade. The problem with modern sound systems is that the companies like Bose and Harman (the people behind JBL, Infinity, Mark Levinson and Lexicon) are pretty good at what they do. 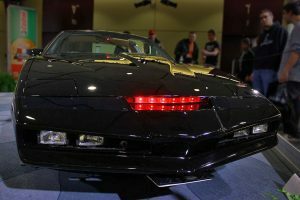 They use powerful digital signal processors to optimize the amplifiers that power these systems to make the most of the speakers in the car. If you upgrade to new speakers, the processing that made cheap speakers sound OK can make your good speakers sound mediocre. In essence, the days of going to a stereo shop to buy a new set of speakers to upgrade the sound in your car are gone. When you take your new car to a shop for a sound system upgrade, there are a few steps required to ensure you will get the performance you want from the system. The first should be a series of questions from the salesperson about how you enjoy your music. Do you listen at high volume levels? Do you like lots of bass? Some will ask you what kind of music you listen to to help understand your goals for your audio system. For the truly dedicated, the questions should include a query about what you hope to improve by upgrading the system. A visit to your vehicle can often provide valuable insight into what’s missing. If you have the bass turned up on the factory radio, you may benefit from a subwoofer. If you have boosted high frequencies, a speaker upgrade may be in order. Your job is to let them know what you have, and what you want. Their job is to determine how to achieve that goal. 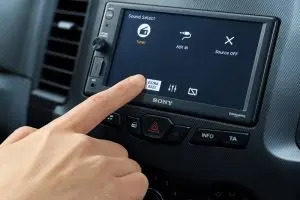 Where the expertise of a mobile electronics specialist retailer shines is in knowing how your factory stereo works and, subsequently, how to upgrade it. Remember the signal processing we talked about at the beginning of the article? If a shop sells you a new set of speakers without addressing this tuning, you may not like the results. There are three options available to deal with this processing. If you can, a new radio and potentially a new amplifier will eliminate the tuning. Audio interfaces include the PAC AmpPRO, iDatalink AR, Axxess AX-DSP or one of the many ZEN-Audio solutions from Nav-TV. Finally, you can add an amplifier with a digital signal processor to correct the tuning for the new speakers. There’s no “best” answer to your upgrade needs, as each vehicle and client’s goals differ. Before you balk at the cost of adding a DSP and amp to your factory stereo, keep in mind that the vehicle manufacturer and its audio system supplier used this very process for making the speakers in your car perform as well as they did. System tuning is a critical part of any installation. 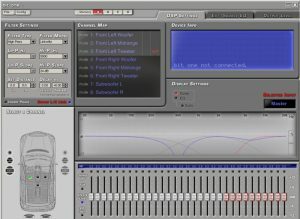 It can be as basic as setting the crossovers and sensitivity controls on an amp to configuring crossovers, equalization settings and signal delay on a DSP. In either case, an acoustic analyzer can give the installation technician valuable insights to produce a predictable result. Let’s go back to the late ’90s and work out the speaker upgrade costs. You might have a budget of $200 for a nice set of components for your doors. The shop would likely charge one to two hours to install the speakers, depending on the complexity of the vehicle. In ’90s labor rates, you’d likely be out the door for around $400, including shop supplies and whatever taxes applied in your state or province. Dealing with a new car is a different story. You can maintain your $200 speaker budget if you want, and chances are, labor rates have increased a little. The basic speaker upgrade and speaker installation is now going to run around $450 to $500. Not too bad, right? Let’s look at how we handle the tuning in the vehicle. You’ll need an amplifier with a built-in DSP. There are lots of compact solutions available from companies like JL Audio, Mosconi, Helix, Audison, AudioControl, Sony, Alpine and Kicker. A suitable amp will run anywhere from $600 to over $1,000, depending on the features, power capabilities and quality of the unit. Add in speaker wire and power wire for another hundred or so. Depending on how your factory audio system works, you may need one of those vehicle interfaces we talked about. They cost between $250 to almost $1,300 for some of the complex MOST150 interfaces for Mercedes-Benz vehicles. Needless to say, attempting to upgrade one of these premium sound systems is, in fact, opening a moderately expensive can of worms. On the low side, you’ll be $1,500 and exceeding $4,000 wouldn’t take long. Is the Upgrade Worth It? Take a deep breath. Talking about spending thousands of dollars on a speaker upgrade might scare a lot of people. The question is, are the upgrades worthwhile? When executed by a properly trained technician, the answer is unquestionably yes! Not only will new speakers play louder, they produce less distortion to make your music clearer and more detailed. 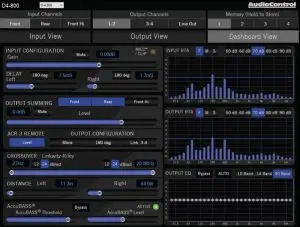 The signal processor can be used to fine-tune the system to provide the overall sound balance you want. Most people enjoy smooth and natural midrange with some accentuation in the midbass region and a little more in the bass region. Your technician can fine-tune the high-frequency response of the system to your preferences and the kind of music you enjoy. Think of upgrading your stereo like buying a new suit or a dress. You can walk into a store and pick something off the rack. It will fit and do its job, but it might not be perfect in every area. The alternative is to commission someone to create a garment specifically for your needs and the occasion. They’ll measure you, discuss fabric options and consult on the overall design. You end up with something that is exactly what you want and is a joy to wear. An upgraded audio system is the same. 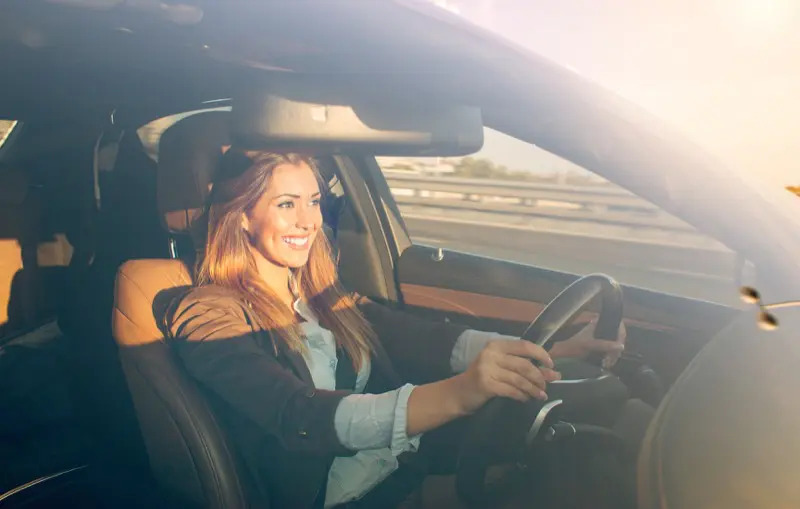 We’ve heard countless stories of clients who enjoy spending time in their vehicle so much, they find themselves looking for excuses to go for a drive. Hearing your music on a reference-quality sound system is indeed like hearing it for the first time. New sounds, new voices and amazing realism are just the starting point. To experience a taste of just how great a mobile audio system can sound, drop by your local car audio specialist retailer and ask to listen to one of their demo vehicles or displays. 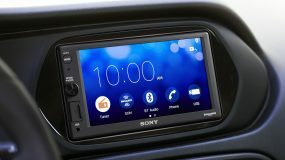 If you are looking for a multimedia receiver for your car or truck with a bright, clear screen and Apple CarPlay smartphone integration, then you’ll want to check out the Sony XAV-AX1000. Equipped with a 6.2-inch, touch-sensitive display and rotary volume control on the front panel, the XAV-AX1000 looks great while being easy and intuitive to operate. Let’s take a close look at the features included in this receiver. 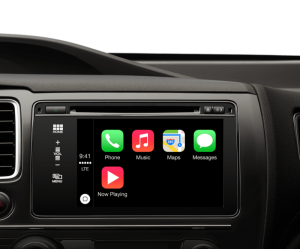 No technology has made communication easier for drivers behind the wheel than Apple CarPlay. Simply connect your iPhone to the USB port on the front panel and within seconds, you can make phone calls or send text messages. Support for streaming music services includes Pandora, Apple Music, iHeartRadio, Tidal, and several audiobook solutions. 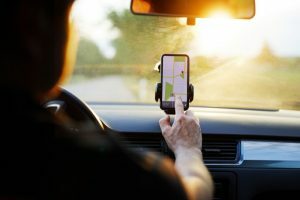 Apple Maps, Google Maps, and Waze navigation applications offer easy-to-understand, turn-by-turn directions to the destination of your choice. 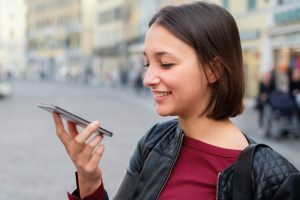 There’s no need to scroll through complex menus or use proprietary commands to get the information you want, thanks to the Siri digital assistant interface. Just press and hold the volume control for two seconds, and the XAV-AX1000 listens to your commands. You can keep your eyes on the road to ensure you’ll arrive at your destination safely and efficiently. The XAV-AX1000 includes Bluetooth hands-free and audio streaming functions, so your Android phone can still be used safely. The USB port on the front of the radio is compatible with a memory stick containing MP3, WMA, AAC, WAV, and FLAC audio files as well as WMV, MPEG-4, Xvid, and MKV video files at resolutions up to 1280×720 pixels and 30 frames per second, depending on the file format. You can also connect your smartphone to the USB port to recharge the battery with up to 1.5 amps of current. A built-in AM/FM receiver allows you to enjoy local terrestrial radio programming and includes RDS PTY so you can see artist and song title information from supporting stations. Support for the optional SXV300 SiriusXM tuner means you can listen to SiriusXM satellite radio whenever you are in North America. 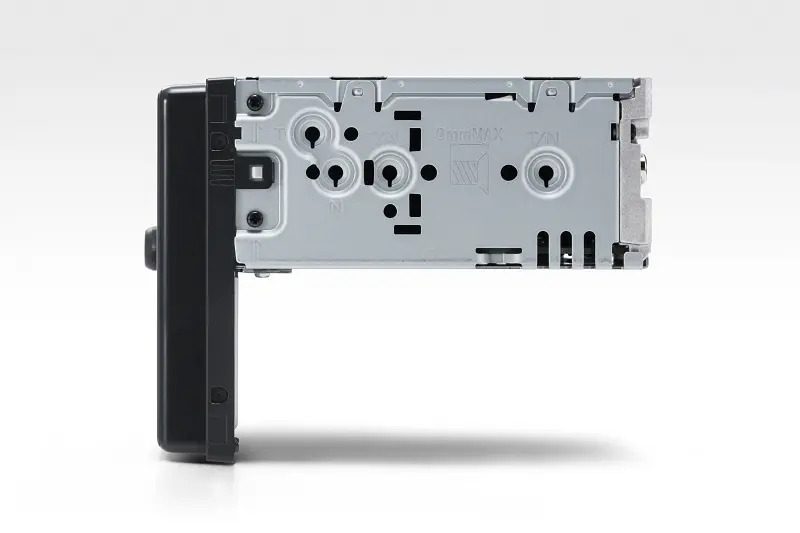 A 3.5mm stereo auxiliary input on the front panel rounds out the audio source options. The XAV-AX1000 includes adjustable high- and low-pass crossovers that let your installation technician configure the output of the front and rear channels for use with a subwoofer. You can add external amplifiers using the 2.0-volt front, rear and subwoofer outputs; the EQ10 10-band graphic equalizer will let you fine-tune the frequency response of your sound system for exceptional realism. The built-in, 20-watt-RMS-per-channel amplifier helps to ensure your music will sound great. The XAV-AX1000 includes a rearview camera input that triggers automatically when the vehicle is in reverse so you can see everything behind you. 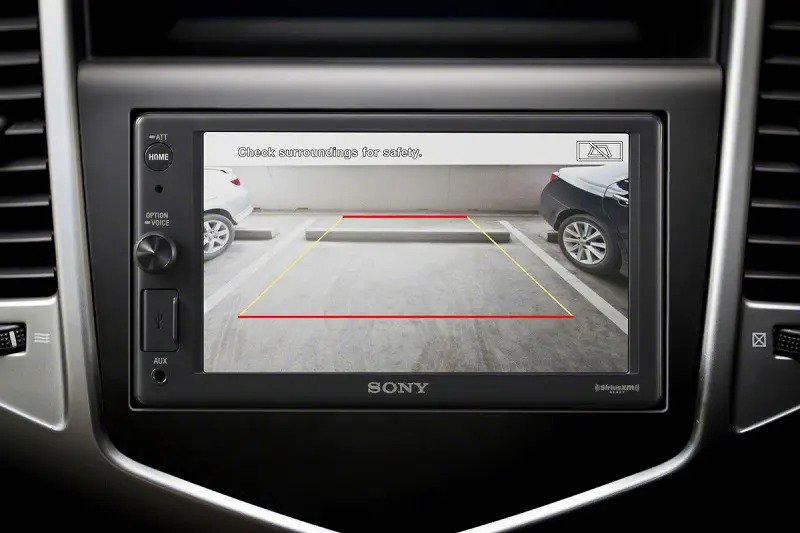 Your installer can switch between normal and reverse camera images, so the system works with any NTSC-format camera on the market. The programmable steering wheel control input allows either an aftermarket steering wheel control interface input or allows your installer to connect your new radio directly to the audio buttons on the steering wheel for seamless integration. Sony includes an external microphone to optimize the accuracy of hands-free calling and voice recognition features. Finally, the compact RM-X170 IR remote control allows backseat passengers to play DJ or control the sound system quickly and easily. The XAV-AX1000 features a shallow single-DIN chassis that makes it incredibly easy for your installer to mount this radio and any required interfaces in the dash of your vehicle. If you are looking for an easy-to-use 2-DIN multimedia receiver, then drop into your local mobile electronics specialist retailer and ask for a demonstration of the Sony XAV-AX1000. Be sure to bring your iPhone so you can experience just how easy it is to use CarPlay. Bryan has been a friend of mine for most of my life. He and I have ventured several stereo systems our entire lives. We both share a love of sound only few can know. We have worked together, installed together, learned lessons, experienced life as a whole. In my life travels, I have still never met a better man, installer, and person. I am proud to know Bryan as a friend and business owner. I've been accessories manager at a Toyota Dealership going on 3 yrs now, and the majority of my remote starts have been done by Bryan over the years. Whenever I have questions Bryan always makes himself available to help, whenever there is an issue, he would never give me the run-around he would simply tell me to bring it by and he would fix it whether minor or major. He is extremely thorough with his installations which is the most important factor when installing aftermarket electronics in Toyota vehicles as Toyotas are very sensitive in their electrical configurations. He has won several awards for his work and his actions back up everyone. Bryan has worked on a few vehicles for me, and his work has always been very professional. Everything he has done for me looks like it came straight from the factory that way, and the service he has provided has been fantastic. I would recommend anyone needing any type of audio work to give him a call you won't be disappointed!